Education: I completed my residency training in Physical Medicine and Rehabilitation at Loyola Medical Center in Chicago; obtained my MD from the University of Illinois, Chicago; and my Bachelor of Science undergraduate degree from the University of Illinois, Urbana-Champaign. I am a board certified Physiatrist (fiz-eye-a-trist) or Physical Medicine and Rehabilitation Specialist. Medical Director of Caring Medical: I am most well-known for my expertise as a Prolotherapy doctor. Prolotherapy is the medical procedure that stimulates the body to repair painful, injured areas. I was blessed to have trained under the respected Prolotherapy doctor Gustav Hemwall, MD. He is considered the grandfather of Prolotherapy and I was truly blessed to be his apprentice. Dr. Hemwall was trained by George Hackett, MD who developed and coined the term “Prolotherapy.” Thus, the comprehensive technique we use in this office is called H3 Prolotherapy (Hackett-Hemwall-Hauser). 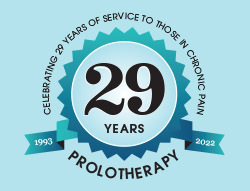 If you are interested in the fascinating history of Prolotherapy and how our Chicago office has offered it for many decades, please check out this page. 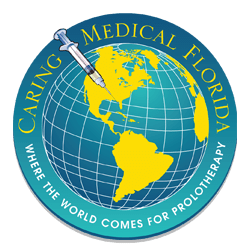 Not only am I a Prolotherapy doctor, I am also the Medical Director and co-founder of the comprehensive Prolotherapy clinic, Caring Medical Regenerative Medicine Clinics in Oak Park, Illinois and Fort Myers, Florida. I see patients in our Florida location and would love to meet you there! My practice is focused on full-body and complex cases, such as Ehlers-Danlos Syndrome, cervical instability-related conditions, nerve entrapment, and avascular necrosis, among other rare and complicated cases. For patients who have been referred to me with single-joint, straightforward cases (meniscal or labral tears, sprains, tendinitis, etc. ), I highly recommend my Florida office associate, Katherine Worsnick, PA-C, who I have personally picked and trained in H3 Prolotherapy. We consult on many cases, and she is an outstanding Prolotherapist! If you are wondering if your case would be a better fit for Dr. Hauser or PA Worsnick, please email drhauser@caringmedical.com. My team is always happy to review cases to make sure you are seeing the clinician who is best suited for your case. If Chicagoland is better for you, I have trained two wonderful associates in the same techniques that I use, Danielle Steilen-Matias, PA-C and David Woznica, MD. As a Prolotherapy patient myself, I know you want to see an expert in the treatment. Therefore, my team and I have done our utmost to seek out only those who are extremely passionate about and excellent at performing Comprehensive[ H3] Prolotherapy. I’ve trusted them with treating my own injuries and know you are in good hands! Caring Medical has a national referral base seeing patients from all over the USA, as well as abroad, in our offices in Oak Park, Illinois and Fort Myers, Florida. I meet people from all over the world, including the United Kingdom, Australia, Canada, Germany, Costa Rica, and Mexico, as well as from all over the Chicago area and the 50 states! Who would have thought we would have vans of people traveling here to see us from Iowa, Wisconsin, Indiana, and Ohio to receive Prolotherapy?! I became fascinated with pain during my Physical Medicine residency. I began accumulating articles on bizarre pain syndromes and obtained quite a collection. What struck me most was the magnitude of the pain problem. It seemed as though everyone either had pain themselves or knew someone who was suffering from chronic pain. I also saw the lack of significant pain relief by modern treatments such as surgery, physical therapy, and anti-inflammatory drugs. It appeared that the longer people had pain, the less likely such treatments were going to help cure their chronic pain. Pain clinics and pain programs do help some people, but have a poor cure rate. Pain programs teach people to live with their pain. The psychological aspect of the pain is addressed, but in many cases the cause is not determined. When I began seeing pain patients during my residency training program in Physical Medicine and Rehabilitation, I thought they were a very difficult group of people to treat. They often appeared depressed, and traditional approaches to pain management did not seem to help. Then I said to myself, “How would I feel if I had pain day after day and no one could find a cure?” The families of many who suffer from pain often begin doubting the reality of their loved ones’ pain. Many chronic pain patients who frequent pain clinics experience broken homes and lose their jobs because of the pain. It became evident to me that these patients’ pain was indeed real and that pain pills and support groups did not cure the pain. A friend from church, Mrs. Wright, was experiencing terrible pain. I tried all the treatment modalities and gizmos I knew of, but without success. Mrs. Wright eventually received treatment from Gustav Hemwall, MD, the world’s most experienced Prolotherapist. The Prolotherapy she received in her shoulder gave her a significant amount of relief. Mrs. Wright then encouraged me to learn about Dr. Hemwall’s treatment. In April 1992, I contacted Dr. Hemwall and he allowed me to observe him in his clinic. I was astonished to see him perform 30, 50, or 100 injections on a patient at one time! He called his treatment Prolotherapy. The only other time I had come across the term was when a fellow resident showed me a book on the treatment. I later discovered that Dr. Hemwall was one of the authors of that book. During the next few months, I spent a considerable amount of time in Dr. Hemwall’s office. People traveled from all over the world to be treated by this 84-year-old man. I have nothing against age, but to think that someone would travel from places like England, Mexico, Florida, and California to receive pain management was incredible. I learned that if someone suffers from pain and someone else has a technique that will help alleviate the pain, time and expense are minor considerations. It was clear that Dr. Hemwall was helping those whom traditional medicine had not helped. His average patient had been in pain for years and had tried it all: surgery, pain pills, anti-inflammatory medication, exercise, therapy, acupuncture, and hypnotism. Most patients had seen more than five physicians before consulting with Dr. Hemwall. Almost all the patients I observed improved after one or two Prolotherapy treatments. People found relief from pain that had plagued them for years. 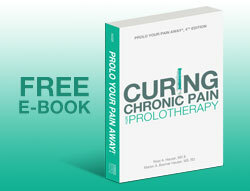 Many said they wished they had known about Prolotherapy years ago. Three months later, I began utilizing Prolotherapy in my medical practice as a treatment for chronic pain. In January 1993, I began working alongside Dr. Hemwall in his Prolotherapy practice. After Dr. Hemwall retired in 1996, he gave me the reigns to carry on his work. Since then, Marion and I have worked tirelessly to continue the Hackett-Hemwall-Hauser [H3] technique of Prolotherapy at Caring Medical Regenerative Medicine Clinics, while adding in advancements such as cellular solutions, ultrasound, and Digital Motion X-ray guidance. 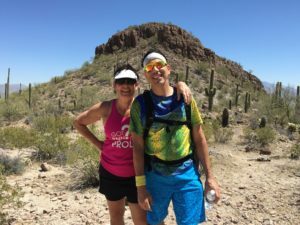 I am an avid athlete myself having completed five Ironman triathlons – Ironman Coeur D’Alene in 2004, Ironman Canada in 2005, Ironman Florida in 2006, Ironman Arizona in 2007, and Lake Placid in 2008. I have always loved sports but decided to get serious about it when I started reaching middle age! Having two marathons under my belt, I ran five more! After a sports injury caused me to vary my training, I became an avid swimmer and cyclist. 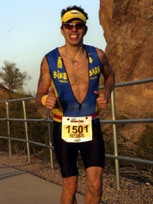 That sports injury actually allowed me to accomplish my dream of completing an Ironman Race. I continue to train in all three sports and have completed a number of ultramarathons, the longest of which was a 60 mile running event. As a sports medicine doctor, I love working with athletes from all types of athleteics – especially because I have a treatment in my armamentarium that will get them back to their sports in no time! Don’t worry—not all of my patients are athletes. However, in order to heal optimally, I will aim to help you get healthier and more mobile. You never know – you just might become an Ironman someday! We have seen many amazing transformations in patients here. Our hope for you is that you will be able to realize your dream, no matter how unrealistic it may seem when you are suffering from chronic pain. 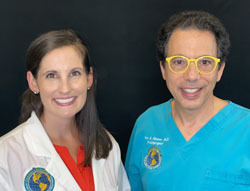 Health Author: My wife Marion Hauser, MS, RD and I are the authors of numerous books on Prolotherapy, including the bestseller Prolo Your Pain Away, along with a number of other topical books on Prolotherapy. Together we have also written Prolo Your Sports Injuries Away! Curing Sports Injuries and Enhancing Athletic Performance with Prolotherapy. This monster book discusses Prolotherapy for every sports injury imaginable, as well as other topics including nutrition, alternatives to surgery, x-rays, cortisone shots, MRIs and other aspects of sports medicine. It is one of the most comprehensive books on sports medicine available. Every athlete and/or trainer should have a copy. Joint Instability (The Missing Diagnosis): I am always working on writing projects, whether it is a chapter of a medical textbook, a new book, or scientific paper. Currently, I am working on completing an extensive 1,000+ page textbook on understanding Joint Instability and the numerous conditions associated with it, as well as how Prolotherapy is used to restore joint stability and integrity. It has been a long process, but it is work that I am passionate about because I see so many lives that are devastated by chronic pain, as well as so many lives that are then turned around by Prolotherapy. It is information that I want to bring to the rest of the world! I consider myself a “Pain Crusader” wanting to help the world alleviate chronic musculoskeletal pain. One of my patients even made me a superhero cape! Editor-in-Chief: I have been fortunate to be able to spearhead the first international medical journal on the topic of Prolotherapy as the editor-in-chief of the Journal of Prolotherapy®. This journal is unique in that it has a target audience of both physicians and patients. The purpose of this journal is to provide the readers with new cutting-edge information on Prolotherapy, as well as provide a forum for physicians and patients alike to tell their stories. Caring Medical has been able to document and present a number of research articles in the journal, including a cutting-edge article showing that meniscal tears to the knee can be repaired with Prolotherapy. Publishing these papers has been instrumental in helping document the life-changing, healing effects of Prolotherapy so that people can live their lives without a lifetime of prescription drug use, arthroscopies, surgery, and disability. Lecturer/Speaker: Because of my love for the subject matter, I have become a well-known speaker and lecturer on Prolotherapy, sports medicine, and natural medicine. I am one of the authorities on Prolotherapy, and often speak on this topic to the lay public and medical community, as well as on the radio and blog talk radio. Because my wife and I developed the Hauser Diet concept, I have also spoken on this topic as well. The Hauser Diet book focuses on the importance of an individualized diet program for preventing and reversing disease, along with obtaining optimal health and fitness. Combine that with Prolotherapy, and you’ve got a great combination. Instructor: I am a former preceptor for Bastyr University’s naturopathic medicine students and also for Midwestern University’s Physician Assistant Program. During those years, many students rotated and observed our clinic at work to gain knowledge in the practice of Prolotherapy and natural medicine. I have also trained and presented lectures to many MD’s, DOs, chiropractors, veterinarians, and other practitioners, on the technique and benefits of Prolotherapy. At this time the office is closed to taking new students or trainees. If you are interested in being added to our list for future training opportunities, please send me an email: drhauser@caringmedical.com. The care of the patient begins with Caring. Ultimately, I try to get at the root cause of my patients’ problems, thereby treating the cause, not just the symptom with a prescription drug or a “live with it” type attitude. When I see the lightbulb go on for patients who finally understand their condition and why Prolotherapy is the best treatment to help them, and they subsequently see their own lives restored after the treatment series, it is truly amazing. Those are the moments that remind me why I wanted to become a doctor! I have a special bond with my patients and love meeting their families and hearing about their many adventures. I often see patients who initially came to me in a hopeless state because they were treated so poorly by a one-size-fits-all medical system. Those same patients are later returning to work, hiking, running, attaining higher education degrees, competing in sports, taking care of their children, gardening, dancing, and fulfilling other passions. Being a part of that journey with my patients is one of the highest honors I can imagine. Even better is receiving updates from patients who are doing an activity they never thought would be possible due to pain. This is a daily part of working at Caring Medical, and my staff and I delight in each one! Happy patients mean the world to us!